i think it’s great to be able to take pictures of couples after the ceremony and post them to my facebook fan page: www.Facebook.com/AWeddingWithRevSchulte . Let your out of town family and friends know that normally within about 10 minutes from the end of the ceremony there will be a picture of the two of you. You can also tag the photos so people can see it that way. I’ve even had a few couples tell all their family and friends they eloped by tagging their picture on my Facebook page! … is updated as soon as I can take the picture of the couple and post it to my Facebook fan page. Feel free to tag yourself and your spouse if you’d like. You may even want to tell family and friends to tag themselves in it, too. Plus, your loved ones who can’t make it will be able to see your photo soon after the ceremony, most of the time within 5 minutes. 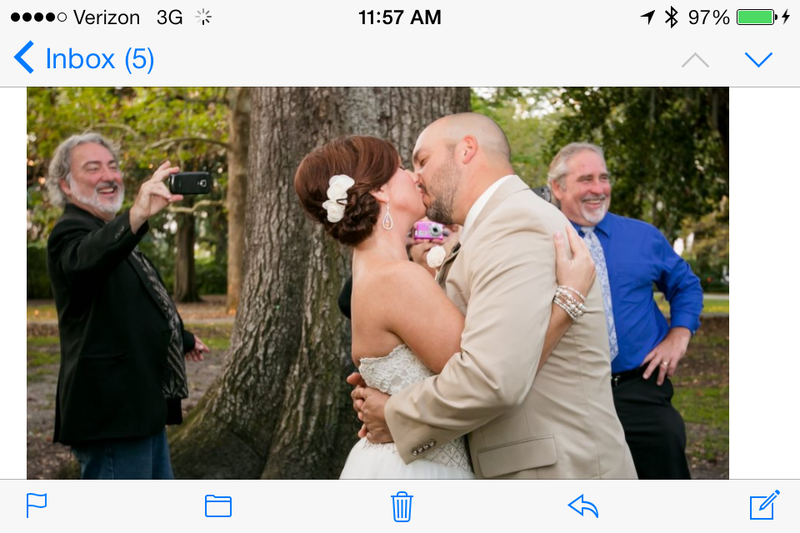 I try to take photos of every couple I marry and post it on FB. Feel free to add to those photos, and/or even have your guests take and post photos! Here’s a photo from over the weekend. 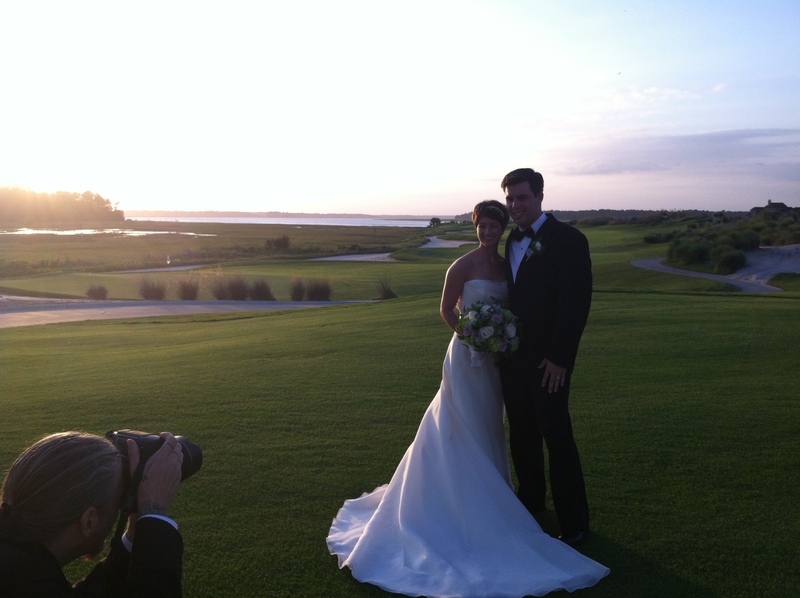 Keller and Staci were married at Colleton River Plantation in Bluffton, SC. the photo is out of focus, it’s too dark in some areas. However, it still allows people to see the couple and the setting.